This post originally appeared on our partner craft site hello, Wonderful. 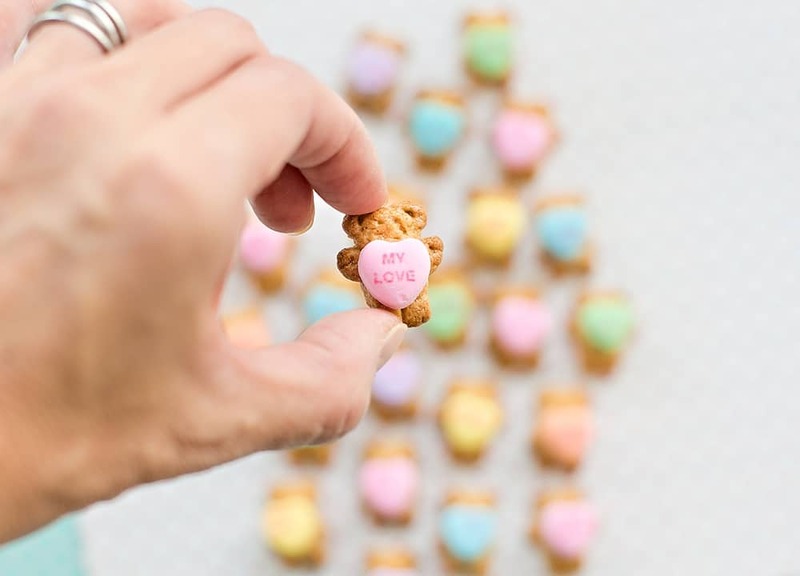 Love is almost in the air and with it comes an excuse to make cute heart-shaped treats for your kids and loved ones, like these Adorable Bear Heart Cookies. 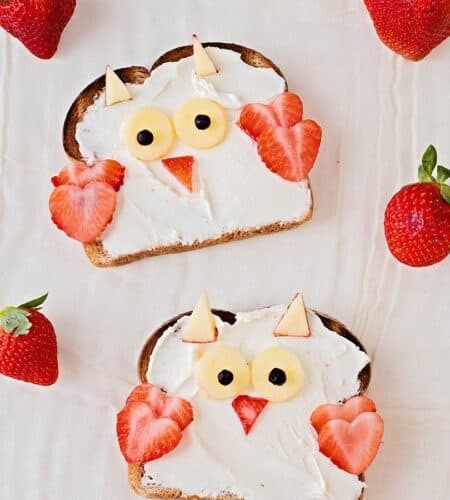 We like to keep Valentine’s Day simple, cute and colorful around here. Red and pink hearts are always welcome, but pastels will always win our hearts over. One of my kids’ favorite sweet snacks are tiny teddy bear graham cookies. 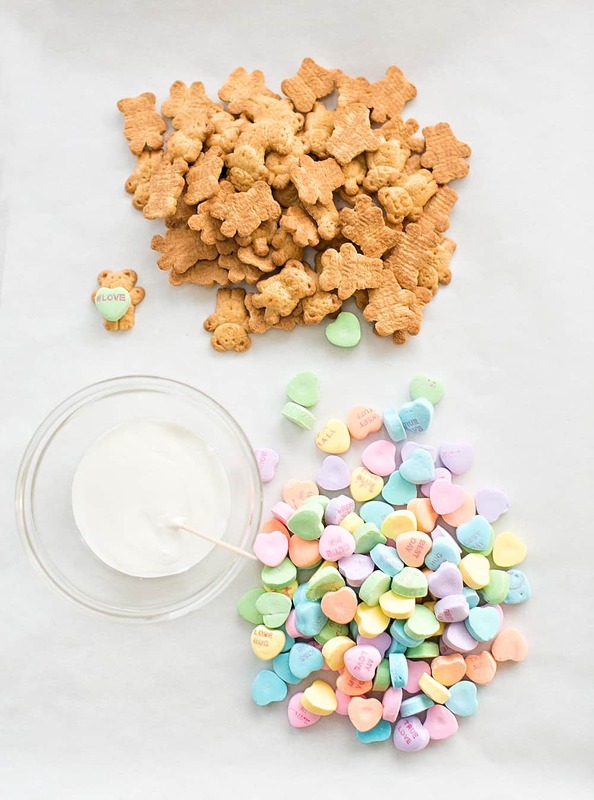 I don’t like to give them a lot of cookies to munch on, but don’t mind so much these small, bite-sized graham cracker bear cookies. It really is easy to dress these teddy bears up for Valentine’s Day. Grab yourself a package of Conversation Heart Candies next time you’re at the grocery store, and a small tube of icing, typically found in the baking aisle. 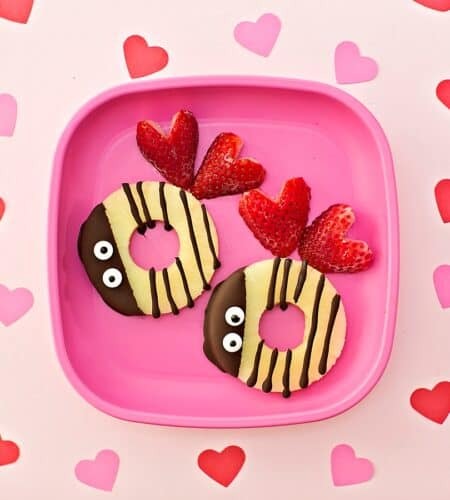 These adorable bear heart cookies will sweeten up your kids’ Valentine day and also make a great lunchbox treat! 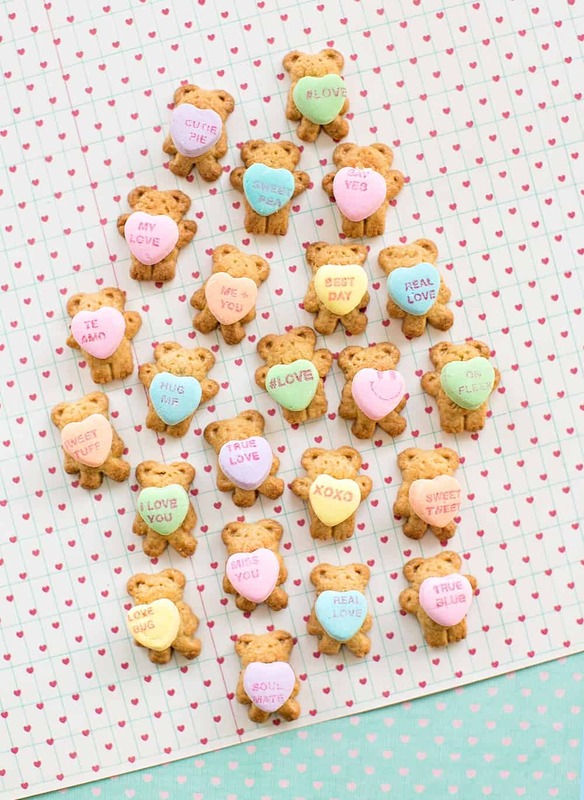 Adorable Teddy Bear Heart Cookies for Valentine's Day or any occasion! Step 1. 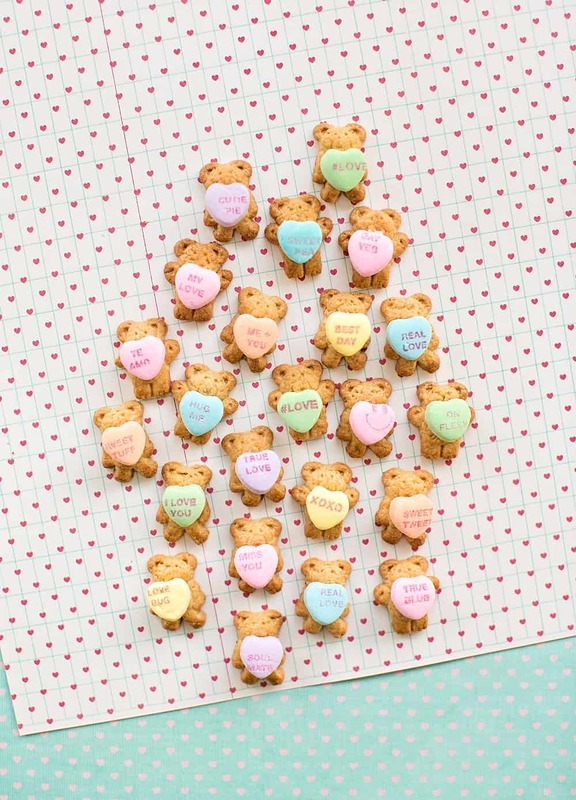 Lay out your bear cookies on a parchment lined cookie sheet or flat surface. Step 2. 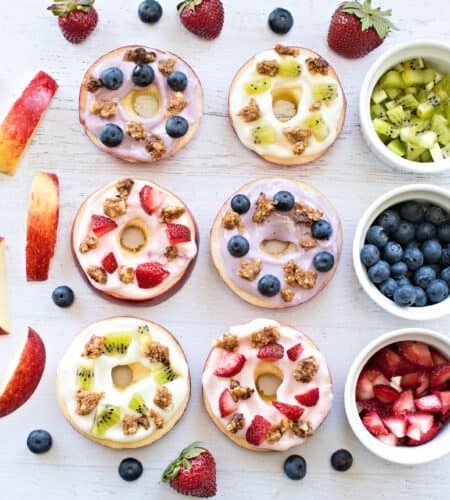 Add your frosting in a bowl. You can buy store-bought or just mix a little powdered sugar with milk to get a thick consistency. Step 3. 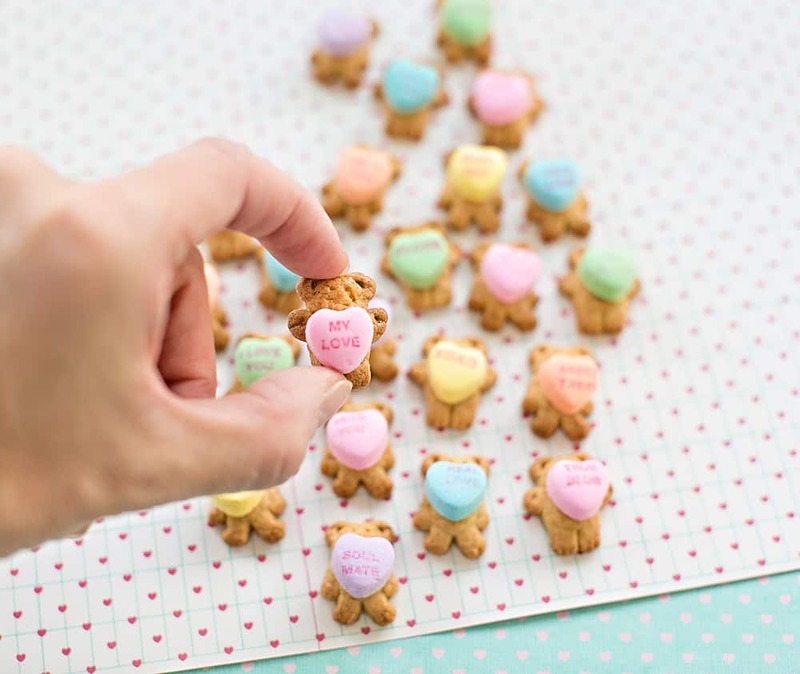 Add a bit of frosting to the back of each conversation heart with a toothpick and stick one on each bear. Simple and easy!